It seems Boeing hasn’t convinced everyone of the value of its standard engine interface feature on the 787 Dreamliner, which the company says allows quick and cost-effective changeability between the Rolls-Royce Trent 1000s and GE GEnx-1B turbofans chosen to power the airplane. During an interview with AIN last week, GE Aircraft Engines’ GEnx program manager, Tom Brisken, expressed some serious reservations about the feature. 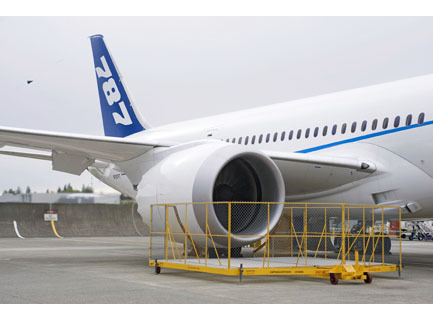 Boeing promoted the feature as a means to allow an operator or buyer of a second-hand 787 to fit the airplane with either manufacturer’s engines at any time. Such capability could conceivably help maintain residual values because lessors, for example, could offer any used 787–GE or Rolls-Royce-powered–to operators who want either engine type. Asked if he thought anyone would make use of the so-called standard interface, Brisken didn't mince words. “I don't think it will ever happen,” he said.